An Evangelical Protestant rock festival that serves as a hotbed for Eastern Orthodoxy? That’s exactly what Bobby Maddex found last July at the Cornerstone Music Festival in Bushnell, Illinois. 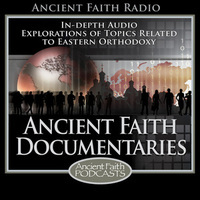 In this audio documentary, exclusive to Ancient Faith Radio, Bobby explores the uniqueness of Cornerstone—what it is about those who attend and play at the festival that makes them so receptive to Orthodox Christianity.